Life and Other Weird Tales: Can an app change your life? Can an app change your life? Ok, so maybe not exactly "change" but certainly "improve". I know I have not been posting lately - life has taken over and we are on a bit of a rollercoaster of late. All of it good, luckily, and it feels like that never happens to us, so I have been quiet, mainly soaking up the loveliness and preparing for change. We have a court date for Boy in Ethiopia, so waiting for that to happen... while preparing everything else here. So... the app that has changed my life? Buddhify2! 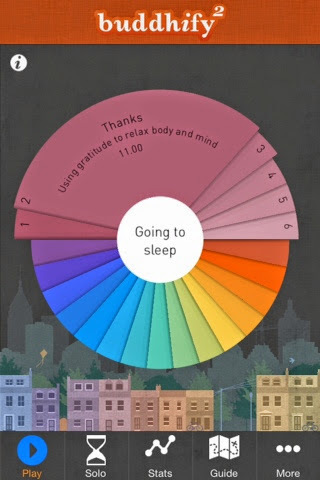 It is a meditation app, which I downloaded for the price of a small cup of coffee and it has made a huge difference to my life these last couple of weeks. 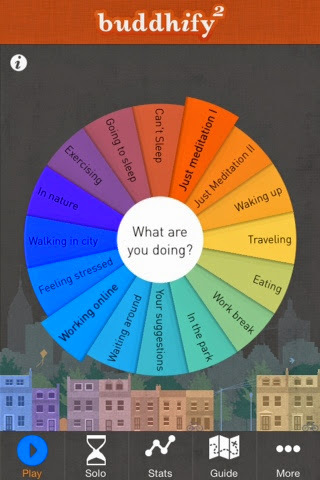 It has guided meditation recordings, for all sorts of different activities, as you can see on the picture (a screenshot). You click on the activity you are doing, during which you want to be more mindful/want to meditate and you are given several options, ranging from 5 to 15 minutes long. By swiping over the meditation you would like to listen to you get some information on the track. I have been using it at least once a day, but most often several times and have tried many of the tracks. They are fabulous! 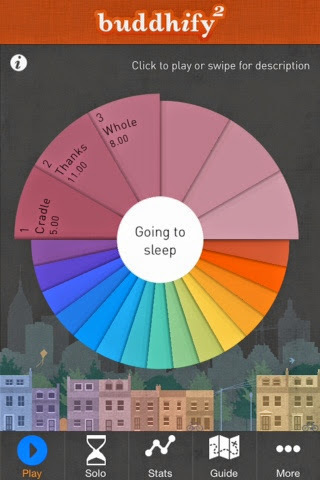 The voiceovers are calm and clear, with quite a neutral English accent (all my other meditation apps have had weird new-agey American accents which would not let me concentrate on content).